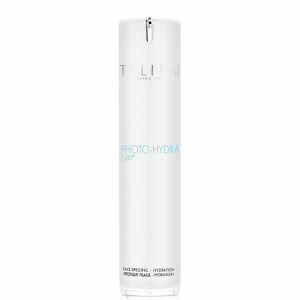 Replenish your complexion with Talika's Photo Hydra Day; a lightweight, fast-absorbing formula that delivers a consistent level of moisture and hydration throughout the day. 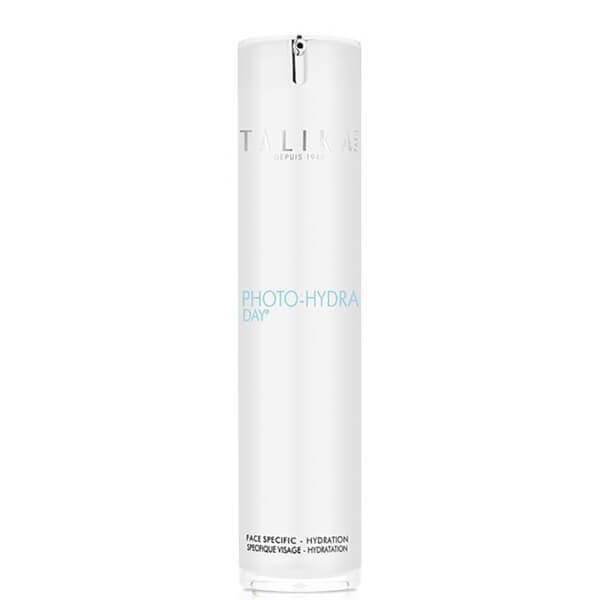 Fortified with Hyaluronic Acid and Hydra Photo Beauty®, a phyto-active amino acid, the rejuvenating day cream plumps and hydrates skin, whilst recreating the beneficial effects of natural light on cell energy. Lipopeptides provide anti-ageing properties to minimise the appearance of fine lines and wrinkles, as vitamin-rich Mango Butter defends against the damaging effects of free radicals and environmental aggressors. Skin is smooth, youthful and revitalised without greasy residue. Apply 1-2 pumps to a clean face. Use in the morning. Aqua (Water/Eau), Cyclopentasiloxane, Dicaprylyl Carbonate, Mangifera Indica (Mango) Seed Butter, Cyclohexasiloxane, Pentaerythrityl Tetraisostearate, Hydroxyethyl Acrylate/Sodium Acryloyldimethyl Taurate Copolymer, Butylene Glycol, Imperata Cylindrica Root Extract, Glycerin, Disteardimonium Hectorite, Chlorphenesin, Tocopheryl Acetate, Propylene Carbonate, Parfum (Fragrance), Polysorbate 60, Sorbitan Isostearate, Citric Acid, Laureth-3, Hydroxyethylcellulose, Sodium Hyaluronate, Caprylyl Glycol, Carbomer, Acetyl Dipeptide-1 Cetyl Ester, Oxothiazolidine, Methylisothiazolinone, Potassium Sorbate, Tocopherol, Acrylates/C10-30 Alkyl Acrylate Crosspolymer, Sodium Benzoate.